Experimental Liberty V8 aircraft engine shows its 45° V-shaped configuration when looking at it from the front or back. Automotive versions usually use a wider, 90° block angle. For other uses, see V8 (disambiguation). A V8 engine is an eight-cylinder V configuration engine with the cylinders mounted on the crankcase in two sets (or banks) of four, with all eight pistons driving a common crankshaft. Most banks are set at a right angle (90°) to each other, some at a narrower angle, with 45°, 60°, and 72° most common. In its simplest form, the V8 is basically two parallel inline-four engines sharing a common crankshaft. However, this simple configuration, with a flat- or single-plane crankshaft, has the same secondary dynamic imbalance problems as two straight-4s, resulting in vibrations in large engine displacements. Since the 1920s, most V8s have used the somewhat more complex crossplane crankshaft with heavy counterweights to eliminate the vibrations. This results in an engine that is smoother than a V6, while being considerably less expensive than a V12. Many racing V8s continue to use the single plane crankshaft because it allows faster acceleration and more efficient exhaust system designs. In 1902, Léon Levavasseur took out a patent on a light but quite powerful gasoline injected V8 engine. He called it the 'Antoinette' after the young daughter of his financial backer. From 1904 he installed this engine in a number of competition speedboats and early aircraft. The aviation pioneer Alberto Santos-Dumont saw one of these boats in Côte d'Azur and decided to try it on his pusher configuration, canard-design 14-bis aircraft. Its early 24 hp (18 kW) at 1400 rpm version with only 55 kg (121 lb) of weight was interesting, but proved to be underpowered. Santos-Dumont ordered a larger and more powerful version from Levavasseur. He changed its dimensions from the original 80 mm stroke and 80 mm bore to 105 mm stroke and 110 mm bore, obtaining 50 hp (37 kW) with 86 kg (190 lb) of weight, including cooling water. Its power-to-weight ratio was not surpassed for 25 years. Levavasseur eventually produced its own line of V8 equipped aircraft, named Antoinette I to VIII. Hubert Latham piloted the V8 powered Antoinette IV (trailing-edge ailerons) and Antoinette VII (wing warping) in July 1909 on two failed attempts to cross the English Channel (both times ending in ditching). However, in 1910, Latham used the VII with the same engine to become the first in the world to reach an altitude of 3600 feet. Voisin constructed pusher biplanes with Antoinette engines, also, notably the one first flown successfully by Henry Farman in 1908. Rolls-Royce built a 3,535 cc (216 cu in) V8 car from 1905 to 1906, but only three copies were made and Rolls-Royce reverted to a I6 design. In 1907, the Hewitt Motor Company built a large five-passenger Touring Car. It was equipped with a V8 engine that developed 50/60 horsepower and had a bore of 4 in (102 mm) and a stroke of 4.5 in (114 mm). The Hewitt was the first American automobile to be equipped with a V8 engine. De Dion-Bouton introduced a 7,773 cc (474 cu in) automobile V8 in 1910 and displayed it in New York in 1912. It was produced only in small quantities, but inspired a number of manufacturers to follow suit. The limiting factor in mass production and sales of V8s was the difficulty in starting large engines using a hand crank. Not only does increasing the size of the engine make this harder, the number of pistons is a factor, because with a 4 cylinder engine, a piston comes into compression every half turn of the crank, and overcoming this with the crank is not difficult. With eight cylinders, there is only 1/4 of a turn of the crank before another cylinder comes into compression. To overcome this problem, electric starters were developed. The first marque to equip its cars with electric starter motors was Cadillac, in 1912, and Cadillac consequently was the first production automobile with V8s, introduced 2 years later. It sold 13,000 of the 5.4 L (330 cu in) L-head engines in its first year of production, 1914. Cadillac has been primarily a V8 company ever since. Oldsmobile, another division of General Motors, introduced its own 4 L (244 cu in) V8 engine in 1916. Chevrolet introduced a 4.7 L (288 cu in) V8 engine in 1917 and installed in the Chevrolet Series D.
In February 1915, Swiss automotive engineer Marc Birkigt designed the first example of the famous Hispano-Suiza V8 single overhead cam aviation engines, in differing displacements, using dual ignition systems and in power levels from 150 horsepower to around 300 horsepower, in both direct-drive and geared output shaft versions. Almost 50,000 of these engines were built in Spain, France, the United Kingdom, Italy. Wright Aeronautical built them in the United States during World War I, with the French-produced versions getting almost-exclusive use to power the SPAD S.VII (about 6,000 produced) and SPAD S.XIII (nearly 8,500 produced) fighter aircraft; as well as both French and British versions (as with the Wolseley Viper version of the HS.8A) for the Royal Air Force's Royal Aircraft Factory S.E.5 fighters (some 5,200 built) and Sopwith Dolphin (nearly 2,100 built) fighters. The H.S. 8-series overhead cam valvetrain V8 aviation engines are said to have powered roughly half of all Allied aircraft of the WW I era. By 1932, Henry Ford introduced one of his last great personal engineering triumphs: his "en block", or one piece, V8 engine. Its simple design made possible the greatest production V8 to the masses. Offered as an option to an improved 4-cylinder Model "B" engine in a low priced car, this compact V8 power plant, with its down draft carburettor, enabled 1932 Ford to outperform all other popular competitors and was conceived years ahead of its time. The Ford flathead V8 is still heralded today as one of the first pioneers in 'hot rod' engines. The most prevalent V angle for a V8 is 90°. This configuration features a wide, low engine with optimal firing and vibration characteristics. Many V6 and V10 engine configurations are derived from production V8 designs, so they often use the 90° angle; however, balance shafts are incorporated to reduce vibration and/or more complex cranks to even the firing cycle. One example is the Ford/Yamaha V8 used in the Ford Taurus SHO. It was based on Ford's Duratec V6 and shares that engine's 60° V angle. A similar Yamaha-built engine was used by Volvo Cars between 2005 and 2010. These engines were designed for transverse front-wheel-drive installation and are narrower than usual for efficient use of space. Because they are not at the ideal 90° angle for a V8, they require a counter-rotating balance shaft and offset split crankpins for complete smoothness. Additionally, 72° V8 engines have been used in modern racing. The Rolls-Royce Meteorite V8 engine was derived from the Meteor tank engine (itself derived from the Merlin aero engine, so it shared the Merlin's 60° V angle. In years past, Electro-Motive produced an 8-cylinder version of their model 567 diesel locomotive engine, with a 45° cylinder angle. The 1932 Miller four-wheel drive race cars also featured a 45° V8. An extremely narrow-angle V8 was introduced by Lancia in 1922, which had an angle between cylinder banks of only 14°. This created an engine that was shorter than a straight-6, but much narrower than a conventional V8. It was based on a Lancia V4 engine design that was almost completely "square" in the length and width of its layout. Because of their compact design and overhead camshafts, these engines were lighter and more powerful than comparable engines of the time. Although Lancia stopped making the V8 design around World War II, the basic concept is used today in the Volkswagen VR6 engine. The flat-plane or single-plane crankshaft is the original V8 design, which has its crank pins at 180°. As they always move two pistons together, the secondary vibration is twice as strong (and half as frequent) as cross-plane, unless balance shafts are used, with a counter rotating pair flanking the crankshaft transverse to the crankshaft centreline. As it has nearly perfect plane balance, it does not normally require counterweights. The crankshaft with less mass and thus inertia allows quicker revving up and down, in addition to the firing being LRLRLRLR or RLRLRLRL with regular overall and per-bank pulse spacings for uniform combustion without requiring a complicated exhaust system. The design was popularized in modern racing by the Coventry Climax FWMV 1.5 L (92 cu in) V8 that evolved from a cross-plane to a flat-plane configuration (with longer conrods). Flat-plane V8s on road cars come from Ferrari (every V8 model they have ever made, from the 1973 308 GT4, to the new 488), Lotus (the Esprit V8), TVR (the Speed Eight), Porsche 918 Spyder, McLaren (the MP4-12C), as well as Ford (the Mustang Shelby GT350). This design is popular in racing engines, the most famous example being the Cosworth DFV. The cross-plane or two-plane crankshaft is the configuration used in most V8 road cars. The first and last of the four crank pins are at 180° with respect to each other as are the second and third, with each pair at 90° to the other, so that viewed from the end the crankshaft forms a cross. The cross-plane have half as strong (and twice as frequent) secondary vibration than flat-plane, but requires heavy counterweights on the crankshaft to counter Rocking Vibration caused by plane imbalances (See Engine balance for details). With the Secondary Vibration advantage, the cross-plane V8 can be scaled up to large displacements without causing destructive vibration. However, the use of heavy counterweights makes the cross-plane V8 a slow-revving engine that cannot speed up or slow down quickly compared to flat-plane because of the greater rotating mass. While the firing of the cross-plane V8 is evenly spaced overall, the firings on the 'L'eft and 'R'ight banks are LRLLRLRR or RLRRLRLL, resulting in uneven intake and exhaust pulse spacing for each bank. In stock cars with exhaust manifolds merging four exhaust ports into one exit, this results in uneven filling/scavenging of intake/exhaust gas in the cylinders (that prevents uniform combustion across cylinders) causing the typical V8 burble sound that many people have come to associate with American V8s. In all-out racing cars it leads to the need to connect exhaust pipes between the two banks to design an optimal exhaust system, resulting in the long exhaust pipes that resemble a bundle of snakes as in the Ford GT40. This complex and encumbering exhaust system has been a major problem for single-seater racing car designers, so they tended to use stub exhaust pipes in the 1950s, or place exhaust ports on the inside of the V angle as on the 4.2 L (256 cu in) Ford Indy engine in Lotus 38. The cross-plane approach was neither obvious nor simple to design. For this reason, most early V8 engines, including those from De Dion-Bouton, Peerless, and Cadillac, were flat-plane. The advance to a cross-plane was proposed at an automotive engineering conference in the United States in 1915, but it took another eight years to bring to production. Cadillac and Peerless (who had hired an ex-Cadillac mathematician for the job) applied for a patent on the cross-plane simultaneously, and the two agreed to share the idea. Cadillac introduced their "Compensated Crankshaft" V8 in 1923, with the "Equipoised Eight" from Peerless appearing in November 1924. The V8 with a crossplane crankshaft (see below) is a common configuration for large automobile engines. V8 engines are rarely less than 3.0 L (183 cu in) in displacement and in automobile use have exceeded 8.2 L (500 cu in) in production vehicles, such as the early 1970s Cadillac Eldorado. In some applications, e.g. industrial and marine V8 engines, displacement can be even larger. In automobiles V8 engines are used in a wide variety of cars and trucks, mostly in more powerful segments and types of vehicles such as American muscle cars, sports cars, luxury cars, pickup trucks, and sport utility vehicles. Many car manufacturers offer a V8 as an option in vehicles which have a V6 or straight-6 as standard engine, often casting it as a symbol of exclusivity and prestige. In some cases, V6 engines are derived from V8 designs by removing two cylinders while maintaining the same V-angle so they can be built on the same assembly lines as the V8s and installed in the same engine compartments with few modifications. Some of these employ offset crankpins driving connecting rod pairs, enabling a regular firing sequence. The traditional 90° big-bore V8 engine, as found on many American makes, is generally both too wide and long to fit in vehicles with a transverse engine front-wheel drive layout, so its applications are limited to rear-wheel drive sports cars, muscle cars, pony cars, luxury cars and light trucks. The shorter and occasionally narrower V6 engine is easier to fit in small engine compartments, but a few compact V8 engines are used in transverse FWD and transverse AWD engine configurations in larger cars, such as Cadillacs and Volvos. These engines often have tighter cylinder bore spacings, narrower cylinder bank angles, and other modifications to reduce their space requirements. In motorsports, V8s are common and have been a popular engine choice in purpose-designed engines for race-cars in many different types and classes of automotive racing, with use for example in the Formula-1 or the American NASCAR-racing league. They usually have flat-plane crankshafts, since a crossplane crankshaft results in uneven firing into the exhaust manifolds which interferes with engine tuning, and the crossplane's heavy crankshaft counterweights can prevent the engine from accelerating rapidly. However, due to the inherent vibration that's found in flat plane V8s, most large displacement V8s, even in motorsports, are cross-plane, including those found in NASCAR and Top Fuel. Medium-weight trucks tend to use the straight-6 configuration since it is simpler and easier to maintain, and because the straight-6 is an inherently balanced layout which can be scaled up to any size necessary. Large V8s are found in the larger truck and industrial equipment lines. Although it was the early choice for aircraft engines, the V8 engine is seldom used in modern aircraft engine as the typically heavy crankshaft counterweights are a liability. Modern light planes commonly use the flat-8 configuration instead as it is lighter and easier to air cool. In addition it can be manufactured in modular designs sharing components with flat-4 and flat-6 engines. One of the few V8 engines used for aircraft propulsion in the World War II years was the German inverted V8 configuration, air-cooled Argus As 10 powerplant. Cadillac produced the first American V8 engine in a production vehicle, the 1914 L-Head. It was a sophisticated unit with cast iron paired closed-head cylinders bolted to an aluminium crankcase, and it used a flat-plane crankshaft. Peerless followed the next year, introducing a V8 licensed from amusement park manufacturer, Herschell-Spillman. By 1917 Chevrolet had also designed a V8 engine which it began mass-producing. Advanced in its design the engine had a central camshaft operating vertical overhead valves in each cylinder bank. The engine design used a counterweighted crankshaft, and detachable crossflow cylinder head, displacing 288 cu in (4.7 L) and producing, for the period, an impressive 55 hp (41 kW; 56 PS). It was primarily used in the Chevrolet Series D.
Cadillac and Peerless were one year apart again (1923 and 1924, respectively) with the introduction of the cross-plane crankshaft. Lincoln also had V8 cars in those years, as did Ferro, Northway (supplier to Cadillac), Cole (Indianapolis, and Jackson, Mississippi), Perkins (Detroit), Murray, Vernon, and Yale. Oakland, a division of GM, introduced an 85 hp (63 kW) 250 cu in (4.1 L) V8 with a 180° crankshaft in 1930–1931. In 1932, the Oakland marque was discontinued and the V8 was used in its companion marque, Pontiac, for one year. Pontiac dropped the V8 engine in 1933 and replaced it with its smoother running Silver-Streak straight eight. Ford was the first company in the world to use V8s en masse, meaning producing them in very large quantities for use in mass-produced vehicles. Instead of going to an inline six like its competitors when something larger than an inline four was needed, Ford designed a simple V8, the Flathead of 1932. This flat head engine powered almost all larger Ford cars through the 1953 production year, and was produced until around 1970 by Ford licensees around the world, with the valve-in-block engine powering mostly commercial vehicles. The gasoline-fueled Ford GAA armored fighting vehicle engine produced from 1940 to 1950 with a capacity of 1,100 cu in (18.0 L) is the largest displacement V8 production engine to date, and was used as a power option for the U.S. Army's M4 Sherman tank in World War II. After World War II, the strong demand for larger status-symbol cars made the common straight-6 less marketable. Straight-8 engines have problems with crankshaft whip and require a longer engine bay. In the new wider body styles, a V8 would fit in the same space as a straight-6. Manufacturers could simplify production and offer the bigger engines as optional upgrades to base models. In 1949, General Motors (GM) responded to Ford's V8 success by introducing the Oldsmobile Rocket and Cadillac OHV. Studebaker introduced its 232 cu in (3.8 L) OHV V8 in January 1951 for 1951 model-year Commanders and Commander Land Cruisers. The first production versions were installed in 1950 model-year Commanders in late December 1950. Chrysler introduced their FirePower 331 cu in (5.4 L) hemi-head V8 in 1951. That year . Buick followed in 1953, while Packard and GM's Chevrolet and Pontiac introduced V8s of their own in 1955. American Motors (AMC) initially purchased V8 engines from Packard, but developed its own lower-weight, 600 lb (272 kg), design in 1956. A full history of each American manufacturer's engines is outside of the scope in this article, but engine sizes on full-size cars grew throughout the 1950s, 1960s, and into the early-to-mid-1970s. The increasing size of full-size cars meant smaller models of car were introduced and became more popular, with the result, by the 1960s, Chrysler, Buick, Ford, and Chevrolet had two V8 model ranges - Ford was the only car maker to try to emulate the Chrysler Hemi V8s in any manner in the 1960s, first with its hemispherical-head Ford FE engine-derived, 427 SOHC-valvetrain design, then with the part-hemispherical head design used for the Boss 429 Mustang's engine. The larger engines, known as big-block V8s, were used in the full-size cars and muscle cars. Big-blocks generally had displacements in excess of 360 cu in (5.9 L). Big-block displacement reached its zenith with the 1970 Cadillac Eldorado's 500 cu in (8.2 L) 500. During the 1970s, due to the oil crises and the gradual tightening of emission-standards, big-block V8s were affected and as a result their use in passenger cars decreased as manufacturers began to phase them out over more efficient designs. However, in trucks and other larger vehicles, primarily in the North American market, big-block V8s continue to be used until today, though some manufacturers, such as for example the Ford Motor Company took a different approach and developed V10s for use in their heavy duty commercial vehicles, such as Trucks and Vans, and/or used small-block derived designs in both diesel, e.g. Powerstroke, as well as petrol applications for improved power and efficiency. To this day Big-block V8s are commonly used in a wide variety of automotive racing mostly across North America, and such engines are available from many small and independent engine builders. Smaller engines, known as small-block V8s, were fitted in the mid-size car ranges and generally displaced between 270 cu in (4.4 L) and 360 cu in (5.9 L), though some grew as large as Ford's 402 cu in (6.6 L) 400. There is overlap between big-block and small-block ranges, and a factory engine between 6.0 and 6.6 L (366 and 403 cu in) could belong to either class. Engines of this general design architecture and category are still in production to date, albeit much evolved and advanced since their inception in the first half of the 20th century. During the 1950s, 1960s, and, 1970s, every GM division had their own unique engines, whose merits and architectures varied. This enabled each division to have its own unique engine character, but made for much duplication of effort. Most, like the comparatively small Buick 215 and familiar Chevrolet 350, were shared across many divisions. Ford and Chrysler had fewer divisions, and favoured brand-specific shared designs. Eventually GM also began to phase-out several division-specific engines in the late 1970s, but has never gone to a single V8 architecture design. GM Chevrolet's modern big block engine family named vortec included the 7400 and 8100. In 2011 GM built its 100-millionth unit of the Chevrolet small-block V8, making that general engine layout (notwithstanding the various evolutions and derivatives it has seen throughout the decades that it has been built) the most produced V8 engine in the world, as well as one of the most commercially successful engines ever. Chrysler and GM have designed larger displacement V8s based on modern small-block V8 archtictures such as Chrysler's 6.1 L (372.2 cu in) and 6.4 L (390.6 cu in) Eagle and Apache Hemis, and the LS7 7.0 L (427.2 cu in) version of GM's LS and latest new LT engines. Today, professional racing V8s are still common with American cars. Track cars commonly use engines around 4–7 L (240–430 cu in) in size. Pro-stock and Superstock drag racing engines usually use big-block (400–600 cu in (6.6–9.8 L)) Chevrolet or Ford Boss engines, some upwards of 800 cu in (13.1 L), and one 1,005 cu in (16.5 L) big block Chevrolet engine engineered by Sonny Leonard Racing which can rev to 8000 rpm and produces over 2,000 hp (1,491 kW; 2,028 PS) and 1,500 lb⋅ft (2,034 N⋅m) of torque naturally aspirated on regular pump petrol. Competitive drag racing's nitromethane-fueled Top Fuel dragsters and funny car professional racing classes generally use the aluminum-conversion Chrysler Gen II Hemi. Superchargers for the engines are based on "blowers" used to boost intake gas pressure in large 2-stroke diesel engines, such as the Detroit Diesel. There is also a Ford 500 cu in (8.2 L) Boss Top Fuel/Funny car engine. The Australian V8 is typically an American-manufactured unit from either Ford, Chrysler or General Motors. The Holden small-block V8 was an all Australian designed and manufactured cast-iron 90° pushrod OHV engine, manufactured in the capacities of 4.2 L (253 CID), 5.0 L (308 CID, later destroked to 304 CID), and 5.7 L (355 CID — Produced by Holden Special Vehicles, never actually built as a 'production' motor). First introduced in 1969, ceasing production in 1999, it powered a variety of Holden vehicles including the Kingswood, Monaro, Torana and Commodore, and proved to be a popular and successful powerplant in Australian motorsport (especially Touring cars). Repco also developed and built the Repco-Holden Formula 5000 engine for Formula 5000 racing. Repco used the block and head castings of the Holden 308 V8 engine as its basis, but it featured many modifications including Lucas fuel injection and dual coil Bosch ignition and more than 150 special components designed by Repco. The British Leyland small block V8 was also a pushrod OHV engine, however it was an all alloy block like the American Buick/British Rover V8 it was based on. The stroke was increased to give it a capacity of 4.4 L (270 cu in). The motor was originally designed and fitted to the Leyland P76 sedan. As of 2014[update], the only V8 produced in Australia is the 5.0L V8 built by Ford Performance Vehicles to power its FPV GT & GS models. This motor is a combination of American-sourced and partially locally manufactured parts. The V8 used in current Holdens is sourced complete from GM in Canada, modified versions of the GM LS-series engine. When the production of Ford's Cleveland V8 range for the American market ceased in the early 1970s, the tooling was moved to Australia where Ford's Australian arm continued to produce a local version of the 351 along with a 302 Cleveland. The Australian-built motors were also sold to De Tomaso to be used in the Pantera and Longchamps. Australian production ceased in 1982, with the last Cleveland-powered Falcon being the XE range (1400-odd 302s and 409 351s). The Rolls-Royce V-8 was the first British V8. It is a 3.5 L (214 cu in) square engine with side valves and a 90° angle. To compete with electric cars, the engineering priorities of this engine were quietness and refinement over outright power and the design was deliberately shallow to emulate the look of the town brougham. A later Rolls-Royce V8 was the Meteorite, an armoured vehicle and marine engine derived from the V12 Rolls-Royce Meteor tank engine by using two-thirds of the Meteor's cylinders, the Meteor itself being developed from the Merlin aero engine. As of 2017[update], Aston Martin, Bentley, Jaguar, Land Rover, McLaren, and Radical continue to manufacture V8 engines. The V8s used in Aston Martins from 1969 to 2000 were based on an internal design by Tadek Marek and were used in a variety of models, starting with the 1969 DBS V8, followed by the Vantage, Virage, Volante convertible versions among others. After the Vantage was discontinued in 2000, there were no V8 models until the introduction in 2005 of a hand-built dry-sump version of Jaguar's AJ-V8 with 4.3 L (262 cu in). The block, heads, crankshaft, connecting rods, pistons, camshafts, inlet and exhaust manifolds, lubrication system and engine management are all unique to the Aston Martin. It was used in the V8 Vantage. In 2008, capacity was increased to 4.7 L (287 cu in) by using pressed cylinder liners instead of cast-in liners. Aston Martin has previously sourced its engines, both V8s as well as V12s, from American manufacturer Ford. Currently, Aston Martin sources its V8 (used in the new Vantage, DB11 V8, and DBS Superleggera) from Mercedes-Benz. A subsidiary of Riley, Autovia was launched in 1936 with a 2.9 L (177 cu in) 90° V8 to take on the likes of Rolls-Royce and Bentley. The triple camshaft engine was developed from a pair of 1½-litre Riley engine blocks. Edward Turner designed the lightweight 2.5 L (153 cu in) and high-performance 4.5 L (275 cu in) hemi-head Daimler V8 engines, announced in 1959. The 2.5 saw service in the Daimler SP250 (1959–1964), and, after the Jaguar takeover, in the "Daimler 2.5 L V8"/"Daimler 250" (1962–1969) versions of the Mk2 Jaguar bodyshell. The 4.5 L was used in the Daimler Majestic Major, (1959–1968). Jaguar introduced its first V8 engine, the AJ-V8, in 1996. It has been developed and updated in a variety of capacities from 3.3 L (201 cu in) (marketed as a 3.2 L) to 5.0 L (305 cu in). It is fitted with variable valve timing and, more recently, direct injection. The 4.0 L (244 cu in), 4.2 L (256 cu in), and 5.0 L (305 cu in) engines are available with the option of supercharging for top specification models. The AJ-V8 featured on Ward's 10 Best Engines list in 2000. It has been used Jaguar's recent executive, luxury and sports cars where it replaced both the AJ6 and V12 units. The AJ-V8 can also be found some upmarket Ford and Lincoln models as well as in David Brown Automotive's Speedback GT and Land Rovers, including a unique to Land Rover 4.4 L (269 cu in) capacity. Project 918 was a V8 engine introduced by Lotus for the S4 Esprit in 1996. The engine was a 3.5 L (214 cu in) unit designed in-house by Oliver Winterbottom, with twin turbochargers and an all-aluminium construction. In 2010 McLaren Automotive, together with Ricardo, developed the 3.8 L (232 cu in) M838T twin-turbocharged engine, for use in the 12C and later 650S supercars. Evolutions of the M838T have since been used in the 720S, 570S, and Senna (Including its higher performance derivatives), as well as in the P1 accompanied by an electric powertrain. Radical Sportscars offer a V8 powered car, the SR8, whose Powertec RPA engine is based upon two Suzuki Hayabusa engines joined to a common crank, utilising the original heads with a purpose designed block. The Riley 8/90 engine was launched at the 1935 Motorshow. It was two OHV Riley 9 engines combined at 90 degrees. Rolls-Royce's first V8 debuted in 1905 but was short-lived. The company is better known for the L Series V8 which started development in 1952 and entered production in 1959, a joint-effort between Rolls-Royce and Bentley led by engineer Jack Phillips. Following contemporary design practice, it featured overhead valves (OHV), a central camshaft and wedge-shaped combustion chambers. Some of its features were inspired by the Rolls-Royce Merlin aircraft engine, including the aluminium block with wet liners, gear-driven camshaft, (initially) outboard spark-plugs and porting. First used in the Rolls Royce Silver Cloud and Bentley S2 while still available in modern Bentleys. Early versions were of 6.25 L (381 cu in) displacement that was increased to 6.75 L (412 cu in) in the 1970s. Turbocharging in various Bentley models beginning in the 1980s with power outputs increased in several steps. It currently produces 530 bhp (400 kW) and 1,100 N⋅m (810 ft⋅lb) in the Bentley Mulsanne Speed, while meeting Euro 6 and LEV II emissions standards. It wasn't until 2007 that the final components which could be traced back to the 1959 engine were replaced. Rover's first foray into V8 engine manufacture came with the Rover Meteorite petrol or diesel engine, which was derived from the 60° V12 Rolls-Royce Meteor engine used in British tanks from 1943. Meteorite was used in trucks and transporters as well as for marine and stationary use. Rover needed of a more powerful engine by the mid-1960s for passenger vehicles. The managing director of Rover, on a trip to America where he saw an example of the Buick 'Small Block' 215 engine in the Mercury Marine experimental department and was impressed with its light weight and small size relative to its power output and potential. The 3.5 L (214 cu in) V8 was only 12 pounds (5.4 kg) heavier and less than 1 inch (2.5 cm) longer than the 2.0 L (122 cu in) Rover straight-4. He sent the aluminium engine back to the U.K. for evaluation. It worked well in the large Rovers, being considerably shorter, lighter, and more powerful than the Rover straight 6, and Rover acquired manufacturing rights to it. The engine was introduced in Rover saloons in the late 1960s. The engine was marketed to small car manufacturers such as Morgan, TVR, Triumph, Marcos, and MG. Land Rover also used the V8 from 1970, first in the Range Rover starting at 3.5 L (214 cu in) in the earlier models, in the utility defender from 1980 onwards, and then in the Discovery models, where it was increased to 3.9 L (238 cu in) and to 4.6 L (281 cu in) in the 1994–2002 models. The original Rover V8 had ended production, but MG Rover decided to re-engineer the Rover 75 in 2002 to fit a 4.6 L (281 cu in) Ford Modular V8. In October 1936, the Standard Motor Company introduced the 'Flying V-Eight' model featuring a 2.7 L (165 cu in) flathead V8 developing 20 RAC horsepower. Used in the flagship model of the company's 'Flying Standard' range, but customers preferred the larger, roomier straight-6 'Flying Twenty' model, which cost less than the Flying V-Eight. Only 250 engines were made and production ended by the summer of 1937. Standard still had some for sale in 1938 at a reduced price. The 1971 Triumph V8 used the Slant 4 engine as its starting point. Initially it was to be fitted with fuel injection, but due to lack of funds at parent company Leyland Motors, the system was never perfected and twin carburettors were used instead. Low quality manufacturing garnered the engine a poor reputation and the 3.0 L (183 cu in) V8 was used only in the Triumph Stag. The specialist sports car firm TVR also produced their own V8 engine in 4.2 L (256 cu in) 350 bhp (261 kW) and 4.5 L (275 cu in) 440 bhp (328 kW) forms for the TVR Cerbera and Tuscan racer. Designed by Al Melling, the APJ8 engine is known as the Speed Eight and features a flat-plane crank and unusual 75° V. The engine is lightweight, weighing just 121 kg dry. Tatra used their air-cooled V8 engines from 1934, when introduced Tatra 77 (first serial-produced aerodynamically designed car). These culminated in the 2.5 L unit used in the Tatra T603 range of cars. The most powerful of these was fitted to the racing variant — known as the B-5. This was a higher compression version of the standard engine which replaced a standard single 2BBL carburettor with two 4BBL downdraft units on a new induction manifold. Tatra later produced another air-cooled engine, used in Tatra 613 and later, in Tatra 700. These engines were well known for their reliability, good fuel consumption, and specific sound. In the Tatra 603, two engine driven fans help pull cooling air into the engine bay — when the vehicle is in motion the air enters through intakes in the rear wing panels and is exhausted through cut-outs below the bumper and alongside the engine itself. In the Tatra 613, one large ventilator pushes fresh cold air into the engine bay. Tatra has used V8 air-cooled engines in their heavy duty trucks until the present day in their Tatra 815 and other models. While France developed the very first V8 engines, they used it for pioneer era airplanes before 1910. The French De Dion-Bouton motorcar firm did produce a V8 engine for sale in a car in 1910. During the collectible, Art Deco age of French automobiles in the 1920-30s, makes like Delage, Delahaye, Talbot-Lago, Bugatti and Hotchkiss et Cie used Inline-6 and Inline-8 cylinder engines. In 1934, Citroën developed a Traction Avant V8 (The 22CV), but possibly due to the bankruptcy of the firm that year, this engine was never finalized for production. Ford Société Anonyme Française built V8 powered cars (to a U.S. design) through its Matford subsidiary in Strasbourg, France from 1935 to 1954. After WW2, the vehicles badged Ford. Simca purchased Ford SAF in 1954, including the rights to continue building the V8, in the Simca Vedette. Facel, a bodywork subcontractor to Ford SAF,also built V8 cars, using Chrysler engines, from 1954 to 1964. After WW2, France imposed very steep Tax horsepower charges - the owners of cars with engines above 2 litres were financially penalized, so France had a very small domestic market for larger engined cars, such as the V8. Both the Citroën SM and the "PRV" (Peugeot, Renault, Volvo) V6 were effectively 90 degree V8 motors, with two cylinders removed. An SM V8 was created as a test bed for the 1975 Maserati Quattroporte that never saw full-scale production, due to the 1974 bankruptcy of Citroën. This car was fully developed and suitable for road use. The 1973 oil crisis made a French car with a V8 engine even more difficult to rationalize. In the 1970s. Gordini also developed a 3 L V8 for the Alpine A310, but a Renault 4-cylinder block was mounted instead because of cost issues. France does not currently build any V8 powered cars for road use. German companies that have manufactured V8 engines include Argus Motoren, who produced among other models the Argus As 10 inverted V8 air-cooled aircraft engine from 1928 to 1945. Horch introduced the 830 Series V8 in 1933 as a smaller alternative to their inline-8 models. In the early 1960s, Mercedes-Benz introduced the first post-WWII V8 engine by a German/European manufacturer with their M100 engine, which was first used in the 600 Pullman Limousine and later in their high-end sedans such as the 300 SEL 6.3. The successors to the M100, the M116 and M117, were available in the SL and SLC roadster and coupe as well as the S-Class four-door sedans. Other firms making V8 engines include the Volkswagen Group (Audi, Bentley, Bugatti, Lamborghini, MAN, Porsche, and Volkswagen), BMW, and Stoewer. The Alfa Romeo Montreal was powered by a dry sump 2,593 cc (158.2 cu in) 90° quad-cam 16-valve V8 (type 00564) derived from the Tipo 33 race car. Because of the limited space available for the cross-plane crankshaft, the physically small but heavy crank counterweights were made of a sintered tungsten alloy called turconit. The Montreal V8 was rated at 230 hp (170 kW) at the flywheel and weighed 162 kg (357 lb). There were also eighteen 33 Stradale cars built with a detuned 1,995 cc 260 hp (190 kW) Tipo 33/2 flat-crank engine. The Montreal cross-crank engine was also used in a very limited production run of 22 Alfetta GTV2.6i. The Alfa Romeo 8C Competizione sports car has a Ferrari-built 4,691 cc (286.3 cu in) 450 PS (330 kW; 440 hp) cross-crank V8. Arguably, Ferrari had their first contact with V8 power with the "inherited" Lancia D50s in 1955. Ferrari adopted the V8 configuration for themselves for racing in 1962 with the 268 SP. The first V8-powered Ferrari road car was 1974's 308 GT4, with the familiar 308 GTB following closely behind. The company continued to use this Dino V8 engine ever since with the 328, 348, and successors. Ferrari's smallest V8 (and indeed, the smallest ever) was the 2.0 L (1990 cc) unit found in the 1975 208 GT4. The company produced a slightly larger 2.0 L V8 in the 208 GTB and the 2.9 L Ferrari F40 of the 1980s. This was a turbocharged engine to reduce the road tax of the car in Italy. Automobiles with engines displacing more than 2.0 Litre were subject to a much higher tax rate. Five-valve-per-cylinder versions of Ferrari's 3.5 L and 3.6 L V8s were found in the Ferrari F355 and Ferrari 360. The old Dino V8 was retired for 2004 with the introduction of a 4.3 L V8, based on the originally Ferrari designed Maserati 4.2 V8, in the F430 and the California. And F430's successor, 458 Italia, with 4.5 V8. The only Fiat to have a V8 was the Fiat 8V. The engine was a very compact OHV 1996 cc (122 CID) V8 with a 70° V angle and 2 valves per cylinder. The Fiat 8V was designed to participate in the Italian two-litre racing class. Fiat also built a V8 Diesel introduced in 1975 Des-8280 naturally aspirated producing 350 hp (261 kW) for their heavy trucks and later superseded by turbocharged units in the mid eighths. The only Italian diesel V8 engine is built by IVECO since 1984, named IVECO-aifo. The engine is used for instance in specific IVECO heavy duty trucks Turbotech, Turbostar (360, 380, 420 and 480 PS), Eurostar (480 and 520 PS), Orlandi Poker built coaches, Astra HD7 (8x4 or 8x6, 520 PS), power generation and marine applications. Lamborghini built V8 engines for several of their car lines, including the Urraco, Silhouette, and Jalpa. Lamborghini is also set to build a V8 engine for the Urus. During a brief period Lancia used V8 engines in their top of the range luxury cars in the interwar period. The first V8 engine in a Lancia vehicle was available in 1922 in the Trikappa with a 4595 cc (280 CID) making 98 bhp (73 kW). In 1928 they introduced the Dilambda with a 3956 cc (242 CID) V8 developing 100 bhp (75 kW). Later in 1931 the Astura was unveiled with two smaller versions of the existing V8, 2604 cc (159 CID) and 2973 cc (181 CID) with 72 bhp (54 kW) and 82 bhp (61 kW) respectively. All of those engines featured Lancia's trademark narrow angle V (less than 25°). In late 1987 Lancia introduced their top of the range luxury sedan the Lancia Thema 8.32 (Y9) which was powered by a V8 out of corporate sibling brand's Ferrari 308. It was a 3-litre (2927cc) unit, the 8 indicated the cylinders while the 32 indicated the number of valves. The model was of very low production numbers and was produced until May 1992. Maserati have used V8s for many of their models, including the Maserati Bora and the Maserati Khamsin. This engine was initially designed as a racing engine for the Maserati 450S. The company's latest 4.2 L V8, found in the Maserati Quattroporte and Maserati Coupé & Spyder was originally designed by Ferrari, and is related to the 4.3 L V8 in the F430. Japanese manufacturers are traditionally not known for V8 engines in their roadcars. However, they have built a few V8 engines to meet the needs of consumers, as well as for their own racing programs. In Japan, V8 engines are regarded as an expensive luxury item, due to Japanese Government engine displacement regulations that impose a yearly annual tax for engines that exceed 2000cc. Most Japanese manufacturers have introduced and installed 2.0L V6 engines in large Japanese vehicles that are adequately powerful, making a 2.0 L V8 impractical. Honda has never built its own V8 for passenger vehicles. However, it did rebadge a Land Rover Discovery Series I with a Rover V8 as the Honda Crossroad for the Japanese market. In the late 1990s, the company resisted considerable pressure from its American dealers for a V8 engine with American Honda reportedly sending one dealer a shipment of V8 beverages to silence them. Honda has built V8s for racing, most notably for Formula One. Honda was the sole engine builder for Indy Racing from 2006 through 2011. The Honda Indy V8 has a 10,300 rpm redline. Also, their affiliate Mugen Motorsports (now known as M-Tec) has built racing V8s that eventually found their way into limited production road cars as well as concept cars. Their MF408S engine, which powers cars in the ALMS, is also found in prototype racers such as the Mooncraft Shiden. It is the engine in the Honda Legend based Honda Max concept. Nissan built its first V8, the Y40, in 1965 for its President limousine. The Y engine has been succeeded by two families of V8, the VH series during the 1980s and 1990s and the new VK series, which is also used in select Infiniti models. While better known as a manufacturer of motorcycles, Yamaha also makes engines under contract from auto-manufacturers. They currently produce a V8 engine in conjunction with Volvo Cars the Volvo XC90 and previously the Volvo S80. They also had a contract with Ford in the 1990s to produce a V8 (3.4 L) for the Ford Taurus SHO. Hyundai produce a number of V8 engines including the D8 diesel, the 4.5 L (275 cu in) Omega - originally a Mitsubishi design (see above) - and the 4.6 L (281 cu in) Tau. The most well-known Swedish V8 engine producer, is probably Scania AB, with the 14 L (854 cu in) diesel, which was released in 1969 for use in the 140 model heavy trucks. At this point, the 350 hp (261 kW) turbo-charged engine was among the most powerful diesel engines offered in Europe. Scania continues using a V8 as its largest displacement engine at 16 L (976 cu in) producing maximum 730 hp (544 kW), for the R-series and S-series (in buses and coaches he uses I6). Emission norms range between Euro 3-Euro 6 depending on which market the vehicle is sold to. Volvo's 1950s concept car Philip also had a gasoline V8 engine. The car never went into production, but the engine evolved into a 120 hp 3.6 L V8 (in many aspects a "double B18" engine) for use in the light trucks Volvo Snabbe and Volvo Trygge from the late 1950s on. Small scale Supercar manufacturer Koenigsegg has developed a 5.0 L (305 cu in) twin-turbocharged V8 producing 1140 bhp for use in their Agera models. This engine is unique in that it is a flexible fuel engine and produces more power while running on biofuel than on regular unleaded. Previously Koenigsegg utilized a Ford Powerplant, namely the Ford Modular 4.7L V8. For the ZIL-111 (1959), an all-new aluminium 6 L OHV V8 was developed, initially it produced 200 hp (149 kW) at 4200 rpm. ZIL-114 (1967) was powered by a 6,960 cc (425 cu in) V8 giving 300 hp (224 kW) at 4400 rpm. Its more modern derivative model, the ZIL-41047, is powered by a ZIL-4104 engine, a 7680 cc carburetted V8 giving 315 hp (235 kW) at 4600 rpm. The ZIL trucks used (and still use) a modification of this engine (cast-iron block, aluminum heads, 6L, 150 hp (112 kW) at 3200 rpm, 6.5:1 compression rate, one 2-bbl carburetor). GAZ-24-34 Volga with ZMZ-503 V8 engine, 1992-built car. Several cars produced under the Volga brand name: the GAZ-23 (1962–1970), GAZ-24-24 V8 (1974–1992), and GAZ-31013 V8 (1982–1996). In addition, both generations of the GAZ Chaika limousines (1959–1982 and 1976–1988) were powered by an all-aluminum OHV 5.5L V8. These engines were designated ZMZ-13 (GAZ-13), one 4-bbl carburetor), ZMZ-14 (GAZ-14), two 4-bbl carburetors), ZMZ-2424 (Volga GAZ-24-24), ZMZ-505 (two 4-bbl carburetors) and -503 (one 4-bbl carburetor) (GAZ-24-34, GAZ-31013). Power output varied from 195–220 hp (145–164 kW). A modification of the same engine was also used in the BRDM-2 military armored vehicle, designated ZMZ-41. The GAZ-53 was powered by a 4,254 cc (259.6 cu in) ZMZ-53 engine, which substantially was a modification of the Chaika's engine with one 2-bbl carburetor and decreased displacement and compression ratio. More modern version of the GAZ engine for intermediate trucks is designated ZMZ-511. Spanish truck and sportscar company Pegaso made around 100 cars in the 1950s and 1960s. There were two types of engines; the Z-102 and the Z-103/4 engines. The Z-102 first introduced in 1951 engine was an advanced design sporting quadruple camshafts (two per bank) and had 2 valves per cylinder. It was available with 1, 2 or 4 twin Weber carburettors and either normally aspirated or with one or two superchargers. It had three different capacities, 2472 cc (151 CID), 2816 cc (172 CID) and 3178 cc (194 CID) and made between 165 bhp (123 kW) and 360 bhp (270 kW). The Z-103/4 developed in the mid/late 1950s (the first prototype was made in 1954) was a much simpler design destined to power a new series of luxury and sportscars. It had a single central camshaft and 2 valves per cylinder actuated by pushrods. It had hemispherical combustion chambers (like the Z-102 engine) and twin spark plugs. It was available with three different cubic capacities as well, 3900 cc (238 CID), 4500 cc (275 CID) and 4700 cc (287 CID). The 3.9 L engine had a twin Weber carburettor and the 4.5 and 4.7 L engines 2 quadruple Weber carbs, which gave the later a power output in excess of 300 bhp (220 kW). The very few engines of this type produced were installed in Z-102 cars. 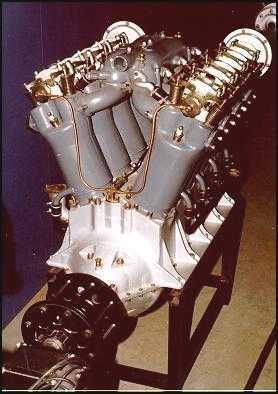 In aviation, V8 engines have been used by a variety of applications such as the pre-World War One Renault 8G which powered numerous pioneer aircraft, the World War One Hispano-Suiza 8 which powered many fighters including the SPAD XIII and the American Curtiss OX-5 which powered the Curtiss Jenny trainer, and many other aircraft in the early post war period. During World War II the Argus As 10 inverted, air-cooled German V8 was used in trainers and small utility aircraft. There are numerous marine diesel engines of V8 configuration including the Brons V8 two-stroke diesel engine, and engines by Scania and Yanmar. However, the configuration is not common in large marine engines. In June 2015, Wärtsilä published a new engine type (Wärtsilä 31) which is also available in V8 configuration. The 8V31 weighs 56 metric tons and is rated at 4,880 kilowatts (6,540 hp). Moto Guzzi of Italy built a 148 kg (326 lb) 82 bhp (61 kW) water-cooled DOHC V8 4-stroke motorcycle for Grand Prix racing between 1955 and 1957, referred to as the Moto Guzzi Grand Prix 500 cc V8. It was known as the Otto Cilindri, and had a very high power output but was not developed to its full potential. Each cylinder had its own carburetter. Around 1964, Finnish TT motorcyclist technician area lecturer Tauno Nurmi built a 350 cc DOHC V8-powered 4-stroke motorcycle engine by the name V8 PREMIER. V angle is 90° and it is air-cooled. Each cylinder has its own carburettor. It is his own design and construction. Morbidelli produced an 848 cc V8 in 1994. Earlier, Galbusera had produced a two-stroke V8 in 1938. Honda released the NR750 in 1992. The bike had a 750 cc V4 with oval pistons, utilising 8 valves per cylinder and 2 conrods per piston; the design allowed the engine to meet FIM racing regulations limiting the number of cylinders to 4, while providing the valve area (and therefore increased efficiency) of a V8. For the 2.5 L Formula One era of 1954–1960, two British racing V8s were built in Coventry. One was the Coventry Climax FPE named the Godiva, and the other was the little-known Brooke Weston. Because of Coventry Climax's decision not to release the engine to Kieft, HWM and Connaught at the time, the Godiva did not debut until 1966 when it raced under the 3 Litre formula on Shannon F1 at the British GP with an enlarged 3 Litre displacement. Brooke Weston DOHC V8 was scheduled to be installed on an ERA, but this did not materialise due to Leslie Johnson's declining health prompted the sale of ERA, which pulled out of the project. Lancia raced Vittorio Jano designed V8 DS50 engine on Lancia D50 in 1954. When Lancia withdrew from racing in 1955, Ferrari bought the Lancia team and continued to develop it. Juan Manuel Fangio won the 1956 World Drivers' Championship in the DS50-powered Ferrari-Lancia D50. The 1.5 L Formula One era of 1961–1965 included V8 engines from Ferrari, Coventry Climax, BRM, and ATS. Ferrari, BRM and ATS used their engines in their cars, while Coventry Climax and BRM sold engines to constructors. Apart from Phil Hill's 1961 World Drivers' Championship, which he won in a V6-powered Ferrari, all the other World Drivers' Champions (Graham Hill in 1962, Jim Clark in 1963, John Surtees in 1964, and Clark again in 1965) drove V8-powered cars to their victories. Also, from 1962 to 1965, the top three manufacturers in each season's Manufacturer's Championship all predominantly used V8 engines in their cars. The first two seasons of the 3.0 L normally aspirated/1.5 L supercharged Formula One era of 1966–1986 were won by Brabham cars with Repco V8 engines. From 1968 to 1981, F1 was largely dominated by teams using the Cosworth DFV engine. During this time, the Manufacturers' Championship was won by Cosworth DFV powered cars every season except 1975, 1976, 1977, and 1979, which were won by 12-cylinder Ferraris. Graham Hill, Jochen Rindt, James Hunt, Mario Andretti, Alan Jones, Nelson Piquet, and Keke Rosberg each won a World Drivers' Championship in a Cosworth DFV powered car, while Emerson Fittipaldi won two and Jackie Stewart won three. Throughout the 1970s the Cosworth V8 faced stiff competition from the V12/Flat 12 engines of Matra, Ferrari and Alfa Romeo. However, because of the 90 degree V8 design of the Cosworth, it was much lighter, simpler, more fuel efficient and more compact than its 12-cylinder rivals. What kept the Cosworth V8 competitive was because it was a compact, narrow engine it had less frontal area than a V12/flat 12, giving the teams who used it better aero balance resulting in better downforce and straightline speed. In the late-1970s, Lotus used "ground effect" venturi tunnels with "sliding skirts" to enhance roadholding and the Lotus 79 powered by the FV V8 dominated the 1978 season, ending Ferrari's three year dominance of the constructors championship. The Ligier and Brabham also switched from bulky heavy V12s to the DFV during the 1979/1980 seasons. The 15-year-old Cosworth DFVV was narrow and fit the ground effects better than the Ferrari flat 12. The British kit car teams used the old engine to exploit ground effect to win the drivers championship in 1978, 1980, 1981, and 1982. Between the years 1995 and 2005, all Formula One cars used engines with a 3-litre displacement, by 2005 these were all V10s. Later regulations and safety concerns by the FIA considered speeds were getting too high to be safe, after the complete banning of turbochargers in 1989, the permitted engine size was further reduced to 2.4 L V8. This reduced average power output of the engines from 900–950 bhp (670–710 kW), in the 2005 season, to a 2006 season average of approx. 750–800 bhp (560–600 kW) — equivalent to power outputs that were being achieved on 3 L around the 1999/2000 seasons. This also had the effect of reducing overall costs for the teams, an aim pursued by FIA. From 2006 to 2013, Formula One ran with 2.4 litre (146.4 cu in) naturally-aspirated V8 engines. These were replaced the following year by 1.6 litre (97.6 cu in) turbocharged V6 engines. In 2005, the newly-formed GP2 Series (now the FIA Formula 2 Championship) used 4.0 litre (244 cu in) naturally-aspirated V8 engines supplied by Mecachrome until the end of the championship's final season in 2016, which was also originally proposed to be the last season for these engines before a new engine package along with a new chassis was introduced for the 2017 season. However, the series decided to continue to use this engine for a further season due to another cost-cutting. When the series was renamed the FIA Formula 2 Championship in 2017, this was the final season these engines were used and they were replaced the following season by 3.4 litre (207 cu in) turbocharged V6 engines supplied by Mecachrome. In the American 'Top Fuel' class of Drag Racing, V8 engines displacing 500 cu in (8 L) today produce outputs of over 10,000 hp (7,457 kW; 10,139 PS), (1000+hp per cylinder) and 7,400 foot-pounds of torque Based on the Chrysler Hemi and running on highly explosive Nitro-Methane fuel, these immensely powerful engines propel the cars from 0–100 km/h (0–62 mph) in 0.2 seconds, from 0–161 km/h (0–100 mph) in 0.8 seconds or less, and from 0–523 km/h (0–325 mph) in under 4.5 seconds. American premier stock car racing NASCAR series has been dominated by American V8 engines since the introduction of the Oldsmobile Rocket 88 engine. The world's fastest non-jet-powered, i.e. piston engine powered, wheeled land vehicle, the Speed Demon, which achieved a speed of 462.345 mph, is powered by an American V8 engine. The vehicle utilizes highly modified V8 engines based on the Chevy small-block architecture, ranging in size from 299 to 388 cubic inches, with power outputs from 1980 hp for the smallest unit i.e. the 288 cui, to 2670 hp and 1310 lb. -ft. of torque for the 388 cui unit. British BriSCA F1 Stock Cars (and their counterparts from the Netherlands) use American V8 engines for racing; typically Chevrolet small blocks for tarmac tracks and big blocks, displacing as much as 590 cu in (10 L), for racing on shale ovals. V8 Hotstox, which often run at the same fixtures as BriSCA F1 stock cars, tend to use Rover V8 engines of approximately 3.5 litre capacity, which in turn originally were based on the American 215 Buick V8 engine. ^ Nunney, Malcolm James (2006). Light and Heavy Vehicle Technology (Fourth ed.). Butterworth-Heinemann. pp. 13–14. ISBN 0-7506-8037-7. ^ Torchinsky, Jason (2014-11-17). "What Is A Flat-Plane Crank And Why Is It So Loud? An Explainer". Jalopnik. Retrieved 2015-07-11. ^ Ludvigsen, Karl (2001). Classic Racing Engines. Haynes Publishing. ISBN 1-85960-649-0. ^ Rumerman, Judy. "U.S. Centennial of Flight Commission - Early Aircraft Engines". centennialofflight.net. Retrieved 2014-09-04. ^ "''Flight'' Magazine, July 24, 1909 p.440". Flightglobal.com. 1909-07-24. Retrieved 2010-08-04. ^ "''Flight'' Magazine, July 24, 1909 p.441". Flightglobal.com. 1909-07-24. Retrieved 2010-08-04. ^ Villard, Henry (2002). Contact! The Story of the Early Aviators. Courier Dover Publications. p. 51. ISBN 0-486-42327-1. ^ "The Hewitt Automobiles & The Hewitt Motor Company". American Automobiles. Farber and Associates. ^ Daniels, Jeff (2002). Driving Force: The Evolution of the Car Engine. Haynes Publishing. pp. 32–33. ISBN 1-85960-877-9. ^ Banham, Russ (2002). Ford Century: Ford Motor Company and the Innovations that Shaped the World. pp. 32–55. ^ McIntosh, Jil (2005-06-10). "First Drive: 2006 Volvo XC90 V8". Autos Canada. Retrieved 2013-01-25. ^ "8W - What? - Penske-Mercedes PC23 500i". Forix.autosport.com. Retrieved 2012-01-25. ^ Robson, Graham (1977). The Rover Story. Cambridge: Patrick Stephens. p. 51. ISBN 0-85059-279-8. ^ Borgeson, Griffith (2000). The Last Great Miller: The Four Wheel Drive Indy Car. SAE International. ISBN 0-7680-0500-0. ^ "Volvo XC90 gets the state-of-the-art V8 powertrain for 2005". The Auto Channel. 2004. Retrieved 2008-12-27. ^ "1917 Chevrolet Series D V-8". HowStuffWorks. Retrieved 2016-07-14. ^ G.N. Georgano, G.N. (2002). Cars: Early and Vintage, 1886–1930. Mason Crest Publishers. ISBN 978-1-59084-491-5. ^ Donovan, Leo (January 1956). "Detroit Listening Post". Popular Mechanics. 105 (1): 122. Retrieved 2013-01-25. ^ Gunnell, John (2006). Standard Catalog of American Muscle Cars 1960–1972. Krause Publications. p. 8. ISBN 978-0-89689-433-4. Retrieved 2013-01-25. ^ Lingeman, Jake (2011-11-28). "GM builds 100-millionth small-block engine". Autoweek. Retrieved 2015-04-15. ^ "1005.8ci Godfather Big Block Engine - Hot Rod Network". Hotrod.com. Retrieved 2017-03-03. ^ "SAR 1005 (2100 HP) - Sonny's Racing Engines". Sonnysracingengines.com. Retrieved 2017-03-03. ^ Burt, Matt (2016-01-11). "Aston Martin confirms new 5.2-litre V12 twin-turbocharged engine". Autocar. Retrieved 2016-03-12. ^ "Aston Martin Engine Plant". Aston Martin. Retrieved 2016-03-12. ^ Vijayenthiran, Viknesh (2013-06-25). "Has Aston Martin Just Extended Its Engine Deal With Ford?". Motor Authority. Retrieved 2016-03-12. ^ "Aston Martin signs new Ford engine deal". Autocar. 2013-06-24. Retrieved 2016-03-12. ^ Ulrich, Lawrence. "The New Aston Martin Vantage Borrows Some V-8 Sugar from Mercedes-AMG's GT...So Which Tastes Sweeter?". The Drive. Retrieved 2018-07-11. ^ "DB11 becomes the first Aston Martin with a Mercedes-AMG heart". newatlas.com. Retrieved 2018-07-11. ^ "Vehicle Specifications and Pricing - Range Rover". Landrover.co.uk. Retrieved 2015-04-15. ^ "Vehicle Specifications and Pricing - Range Rover Sport". Landrover.co.uk. Retrieved 2015-04-15. ^ "Riley 8/90 Adelphi. (1936-38)". Robs Riley Pages. Retrieved 2017-05-15. ^ "Mulsanne: Detailed Specification". Bentleymotors.com. Retrieved 2015-04-15. ^ Tisshaw, Mark (2014-09-16). "Performance-focused Bentley Mulsanne Speed unveiled". Autocar.co.uk. Retrieved 2015-04-15. ^ "Bentley Azure Convertible". expat-village.com. Retrieved 2008-07-20. ^ a b Thomas Wirth (2004-09-01). "Rover V8-Motor: Born in the USA - AUTO MOTOR UND SPORT". Auto-motor-und-sport.de. Retrieved 2017-03-03. ^ "Triumph TR8". ConceptcarZ. Retrieved 2010-08-04. ^ Robson, Graham (May 2011). The Book of the Standard Motor Company. Poundbury, Dorchester, UK: Veloce Publishing. pp. 63–64. ISBN 978-1-845843-43-4. Retrieved 2014-06-07. ^ "Simca Vedette And Simca Ariane". Simcatalbotclub.org. Retrieved 2015-04-15. ^ a b "The Facel Vega: Chrysler-powered luxury from France". Allpar.com. Retrieved 2015-04-15. ^ Sonnery, Marc (2010-09-27). "1974 Citron SM V8: A Mystery No More". Autoweek. Retrieved 2015-04-15. ^ Giuliani, Luigi (1992). Alfa Romeo Montreal. Vimodrone, Italy: Giorgio Nada Editore. ISBN 88-7911-072-1. ^ News, Automotive (2008-10-17). "Green-car era poses test for Honda | The Car Tech blog - CNET Reviews". Reviews.cnet.com. Archived from the original on 2008-10-20. Retrieved 2009-11-22. ^ Weissler, Paul (October 1995). "Engineering the '96s". Popular Mechanics. 172 (10): 58. Retrieved 2014-09-04. ^ "Trucks". Scania. Archived from the original on 2009-04-27. Retrieved 2009-10-16. ^ "CCX". Koenigsegg.com. Retrieved 2017-03-03. ^ "Koenigsegg CC8S 2002-2004". Autocar.co.uk. 2003-09-23. Retrieved 2017-03-03. ^ "World's Most Powerful Aviation V-8". US: TRACE Engines. Retrieved 2016-07-14. ^ Wärtsilä 31. Wärtsilä. Retrieved 2015-06-07. 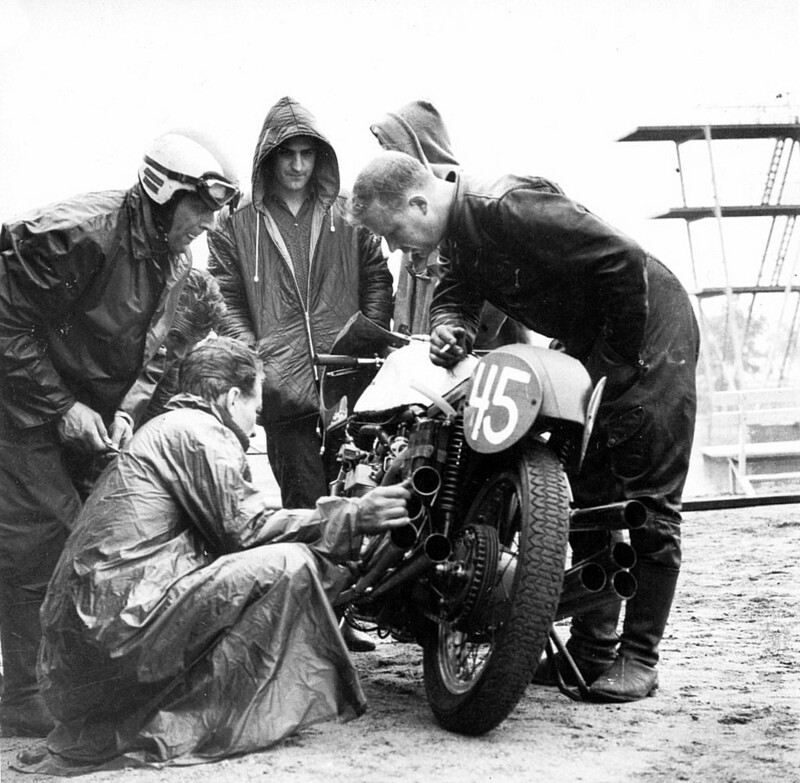 ^ "Picture from Imatra 1965 and Tauno Nurmi is in left with helmet". Retrieved 2013-01-25. ^ "Speed Engines Limited". Retrieved 2013-07-23. ^ "FOTA meeting" (Press release). FIA. 2008-12-10. Archived from the original on 2008-12-17. ^ "8,000 Horsepower Top Fuel Dragsters @ 300 MPH". Zero To 60 Times. Retrieved 2017-03-03. ^ "FORGET 8,000 HORSEPOWER ... TOP FUEL IS NOW OVER 10,000 HORSEPOWER! [National Dragster]". Nfvzone.com. 2014-08-02. Retrieved 2017-03-03. ^ Hartman, Jeff (2011). Supercharging Performance Handbook. Motorbooks. p. 206. ISBN 9780760339381. Retrieved 2014-09-30. ^ "Forget 8,000 horsepower ... Top Fuel is now over 10,000 horsepower!". SIP Trunking. 2014-08-02. Retrieved 2016-07-14. ^ "Top Fuel Dragster". Universal Auto. Retrieved 2016-07-14. ^ Sam (2013-08-21). "Speed Demon smashes land speed record". Racecar Engineering. Retrieved 2017-03-03. ^ Rettie, John (2012-10-04). "New World Speed Record for a Piston-Engined Car – 439 mph". Roadandtrack.com. Retrieved 2017-03-03. ^ "Speed Demon: The world's fastest piston engine, wheel driven car". Turbosmartusa.com. 2015-12-15. Retrieved 2017-03-03. ^ "Fastest Piston Engine Car: 'Speed Demon' sets world record (VIDEO)". Worldrecordacademy.com. Retrieved 2017-03-03. ^ "News Archives - Hot Rod Network". Hotrod.com. Retrieved 2017-03-03. ^ Darrall, Stephanie (2011-11-20). "Speed Demons: Fastest non-jet-powered car sets new record clocking 462mph". Dailymail.co.uk. Retrieved 2017-03-03. ^ "Poteet and Main Speed Demon Tech Specs". Landspeed Events. Retrieved 2017-03-03. ^ "Rover V8, The American connection". Roversd1.nl. Retrieved 2017-03-03. Sessler, Peter C. (2010). Ultimate American V-8 Engine Data Book (Second ed.). MBI Publishing. ISBN 978-0-7603-3681-6. Wikimedia Commons has media related to V8 engines.